Guilherme Vasconcelos a.k.a Bomba is a professional MMA fighter from Brazil. As a professional fighter, he has a record of 10 wins and 4 losses. He is currently associated with BH Rhinos. Currently, he competes in Welterweight. He came into limelight after he was rumored to be hooked up with Demi Lovato, an American singer-songwriter. Bomba was born on March 23rd, 1986 in Belo Horizonte, Minas Gerais, Brazil. His zodiac sign is Aries. By nationality, he is a Brazilian. Bomba posts the picture of his father on Instagram on the occasion of father day. Feliz dia dos pais para o melhor pai do Mundo. At the age of 16, Bomba began jiu-jitsu and worked his way up to a black belt in kickboxing and jiu-jitsu as well. He states his father as his hero. Bomba career disclosed earnings is estimated to be $72,000 as of 2018. He is the brand ambassador of Snanabul. Bomba received $24,000 ($12,000 to show, $12,000 win bonus) after defeating John Mercurio at Bellator 170. Similarly, Tito Ortiz earned $300,000 accounting himself as the highest paid in the event. He received $40,000 at Bellator 181 where he was defeated by E.J. Brooks. Back in 2015, his net worth was estimated to be around $115,500. Bomba made his amateur debut against Michael Kreple at RCFP - Red Canvas 1 on July 10, 2010. He won the fight via submission in the round two. Bomba's first professional fight came against Wendell de Oliveira Marques at WOCS- Watch Out CombatShow 20 and won the fight by Submission(Rear-Naked Choke) in the 2nd round. Further, he faced Daniel Acacio at Shooto Brazil 33- Fight for BOPE 2. He lost the fight via unanimous decision in the 3rd round. On 23rd March 2013, Bomba faced Abner Teixeira Pereira at BH Fight-MMA Grand Prix. He won the fight via TKO punches in the first round. He then fought at JF- Jungle Fight 54 on June 29, 2013, against Elizeu Zaleski dos Santos. He won the fight via Submission (Rear-Naked Choke) in the 2nd round. Bomba then made his official Bellator debut against Jordan Dowdy at Bellator 157. He won the fight via Submission (Rear-Naked-Choke) in the round one. Similarly, Quinton Jackson fought against Satoshi Ishii in that event. On 21st January 2017, Bomba won the bout against John Mercurio at Bellator 170-Sonnen vs. Ortiz via KO punches) in the 2nd round. On 14th July 2017, he fought E.J. Brooks at Bellator 181 and lost by Decision (Unanimous) in round three. Recently, Bomba won the match against Ivan Castillo at Bellator 192 via Submission (Arm-Triangle Choke) on January 20, 2018. Bomba gained a considerable fame after his affair with Demi Lovato. 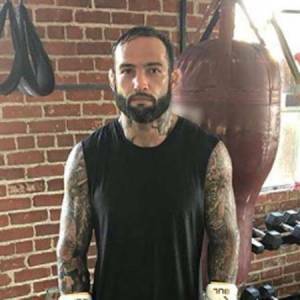 He was in a relationship with his ex-girlfriend, Lovato after Lovato and Luke Rockhold split. The couple confirms their split up in April 2017. After their separation, he deleted all the photos of Bomba from his social media. He often is seen in an expensive holiday destination with his family. Bomba is 6 feet tall in height and weighs around 185 lb ( 84 kg ).